You may have heard of Patch through the film starring Robin Williams. 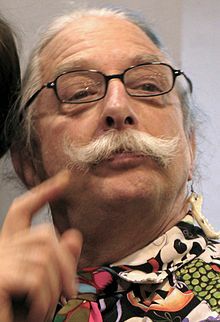 It was about Patch’s life in medical school and called simply, Patch Adams. Patch is one of the founding members of the New Old Time Chautauqua and those of us who’ve traveled with that group can attest that Patch is a real person living a life that vibrates through the real and unreal realms. He’s a Doctor, but above all else considers himself an activist for peace, justice and care for all people. We suggest that you visit the website and read more about his work … and we hope that you’ll come to attend the talk that he’ll give as a part of the 2015 Moisture Festival. You will hear this sincere and funny man tell you about his work and about your own potential. Patch has a one word answer when asked what impact one man can have on changing the world. “Incalculable.” He’s not just talking about himself.